The world is becoming more and more connected, and nowadays it seems to be difficult to find a person who has never accessed a social network, or who has never bought a product through a virtual store. With all this digitization, small local businesses are loosing space for e-commerce retailers. Not to be outdone, the local merchants market demands an efficient advertising mechanism that is affordable, effective and inexpensive. VANM (Viral Advertising Network Mining) is a local search engine for products and services that addresses the supply and demand of local advertisements. VANM will redistribute 50% of advertising revenue from the platform to the mining users. VANM believes that the traditional method of digital advertising is obsolete, an example is pop-ups (those ad pages that appear on your computer screen) that are considered to be an annoying ad by people and bring few results to advertisers. VANM’s proposal is to create a completely decentralized and attractive mobile digital peer-to-peer (P2P) advertising platform. Within the platform, users will be able to mine ads, receive VANM tokens as a reward for their work, and be able to follow artists, share ads, give feedback, and communicate with others. The VANM mining algorithm works similarly to the popular mining algorithm known as PoW (Proof of Work), and currently used by many crypto-coins on the market. However, unlike PoW, the VANM algorithm works by consuming ads by the end user, the ‘ad miners’. 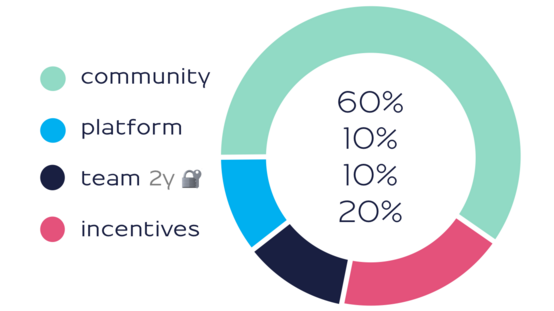 The VANM platform will feature a utility token, based on the Ethereum platform, the token will be used within the platform to reward the miners through ad mining, as well as being used as a means of payment. The ICO (Initial Offering Coin) is already underway, and will be divided into 4 stages, from January 1st to April 30th. The project team has a great view of the market, offering an attractive and useful product that will surely strengthen and boost local commerce through customer announcements and evaluations, as well as promoting local and regional economic development. In addition, the use of blockchain technology will ensure fast and secure transactions within the VANM platform, because it is an innovative, complex and totally decentralized technology, without interference from authorities or companies.